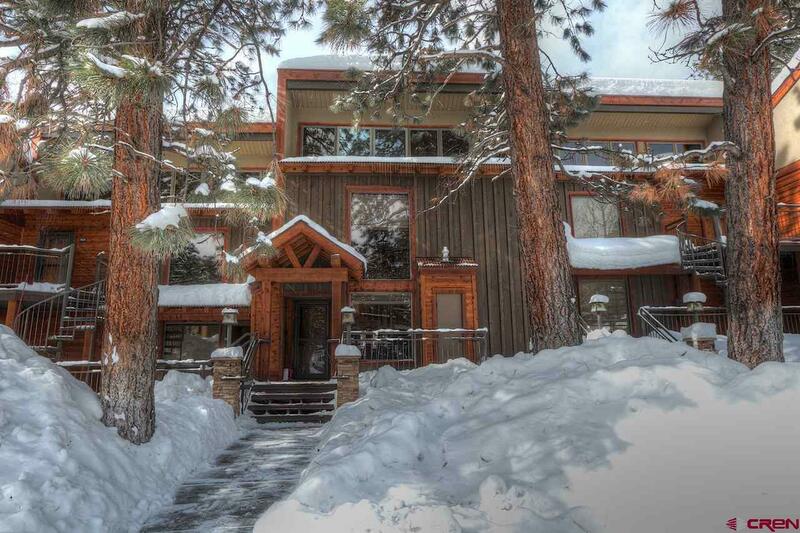 Tamarron Pinecone unit in a serene setting overlooking the golf course. 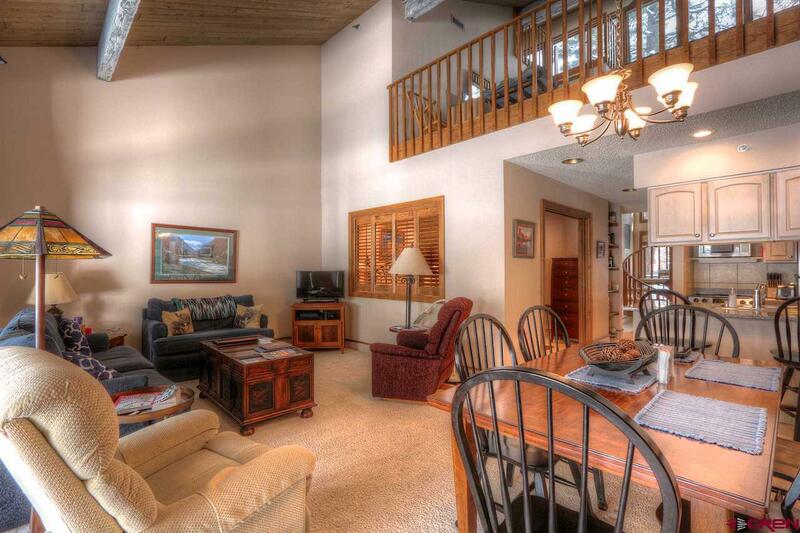 Sit on the deck and soak up the tall ponderosa pines, golf and mountain views. This unit has been remodeled. 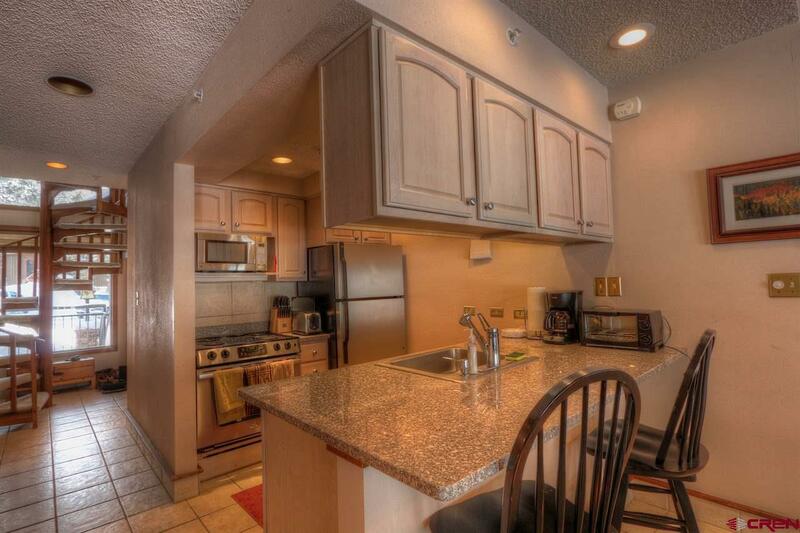 The main level has an enclosed bedroom, full bath and remodeled kitchen with granite counters. The large upper level has 2 queen beds, full bath and good sized closet with owners lock up closet. Also the upstairs has a ladder to a loft area for the kids/grandkids to set up camp. 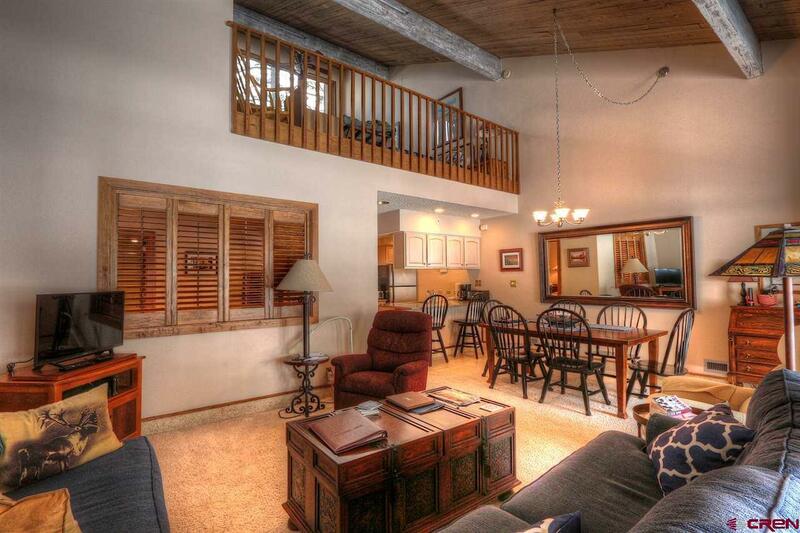 This condo is offered 100% furnished and decorated. Washer/dryer, new tankless hot water unit, 4 new windows (2 operable) and new window coverings New 4,000 square foot fitness facility, pools hot tub and golf memberships at special rates are available to Tamarron owners. See Associated Docs for info. New clubhouse featuring golf pro shop, the excellent Mineshaft restaurant and banquet hall. Everything you need is at your fingertips including onsite property maintenance and property management.